Beautiful Views No Matter Where You Sit. 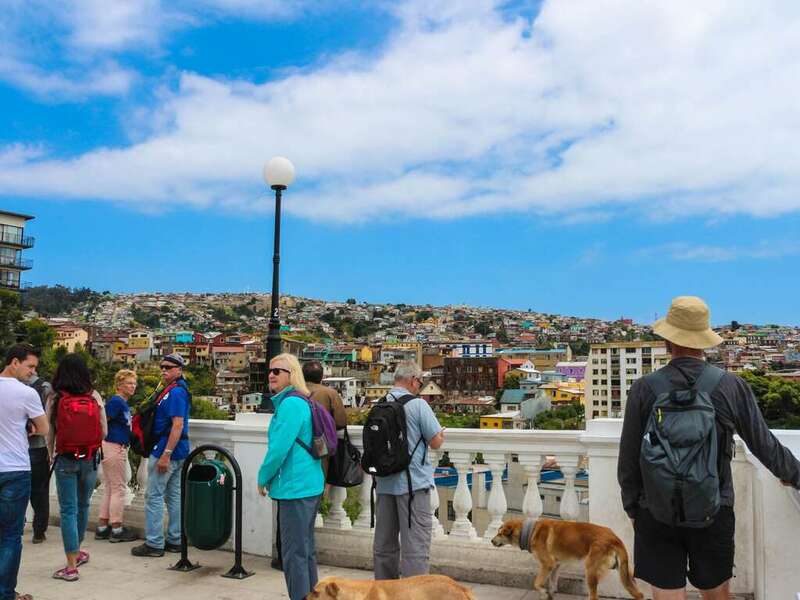 This 3 hour walking tour from port to high hills will help you find your feet and lose your mind as you discover the Heritage Site of Valparaiso. 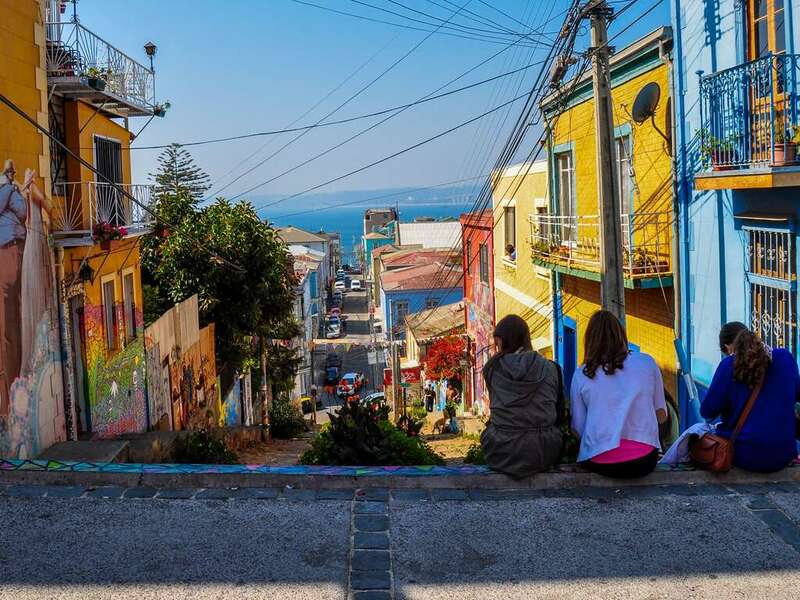 In Valparaiso it is easy to get lost in the maze of alleyways and street art. 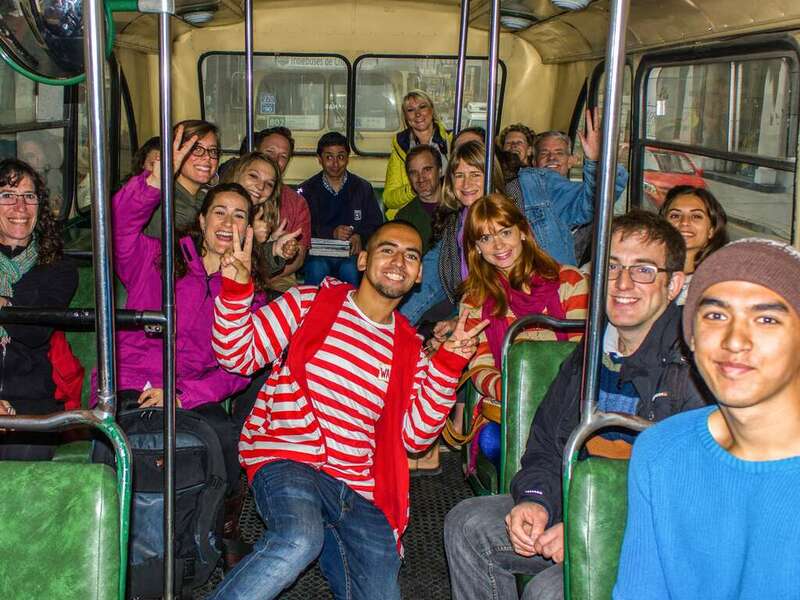 We lead you around not only enhancing your sense of direction but filling you with our knowledge and wisdom of locally named "Valpo"
Find your red and white striped freelance Wally waiting for you at 3pm at Plaza Sotomayor. Spot the port, we discuss the “Golden Era” of the mid 19th Century. Valpo played a huge role in trade, stock exchange and had Chile’s first public library. We’ll go on a ride by bus skipping past the commercial side of the city. Your guide will explain the best places to grab a bite to eat through the cobblestone streets of Valpo. We continue up up up! 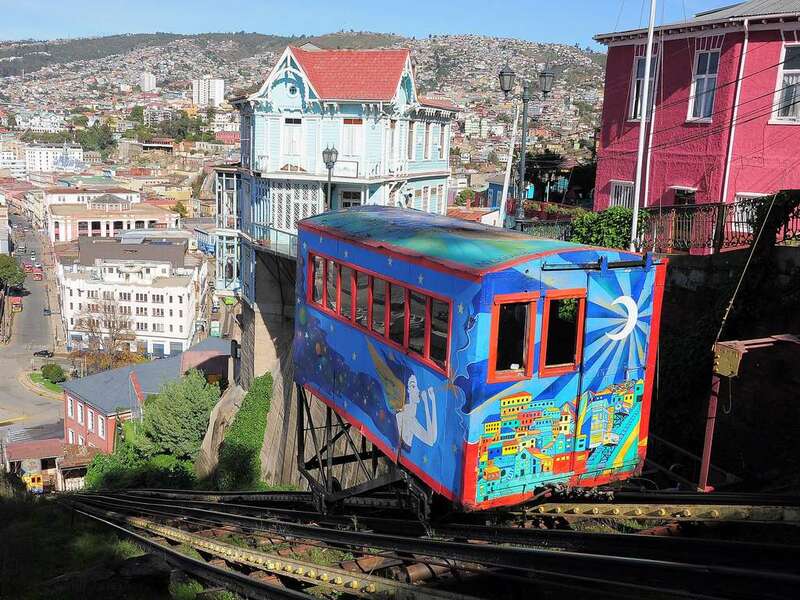 It’s time to take a somewhat safe but shaky ride on Valparaiso’s infamous funiculars. Together we will explore the wealthy hills of Cerro Alegre and Concepcion. You will discover bohemian hotels, 5 star restaurants and wild nightclubs. 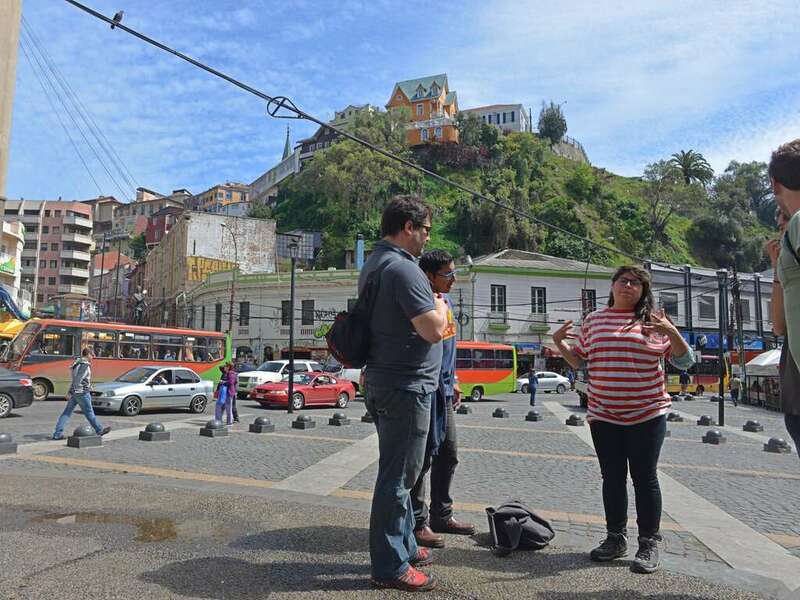 Valparaiso is build on a natural amphitheatre of 45 seaside hills connected by a maze-like system of side-streets and endless stairways. We’ll continue to explore the past arguments between the Catholic and Protestant churches! Onwards we go to the poorer hills, but with lack of money comes an inflow of creativity visible on these even more boho hills. 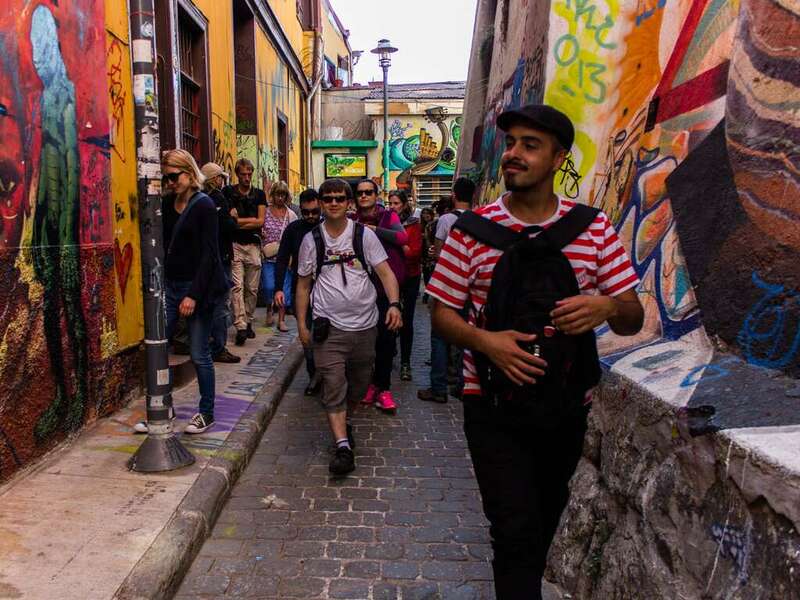 You will take a stroll through one of the most colorful cities in the world and understand the UNESCO World Heritage Site from a new, local perspective. 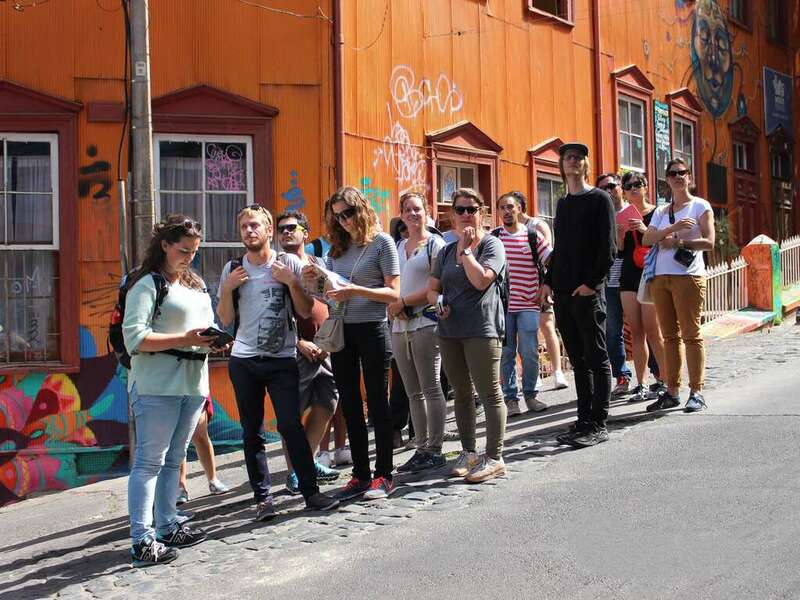 We’ll grab a treat along the way back to our office where you’ll enjoy a Chilean cocktail and have a chance to ask unlimited questions about the city we love!